Initially named as Panjim by the Portuguese, Panaji literally means ‘The Land that never floods’ and is the state capital of Goa. Unlike the other state capitals, Panaji is an unhurried town that is peaceful and laid back. With a Portuguese style setting, the town has concrete structures, red titled roof, promenades and churches. Panaji lies on the peninsula looking out on the vast Mandovi River where one can see the boats cruising. The boulevards are lined up with arrays of acacia and gulmohar trees. The vibrantly glowing alleys with modernized cafes, back street bars and the narrow avenues of the Latin Quarter, Panaji is a place that is lively yet peaceful at the same time. With majestic churches, alleys, terracotta roofs and the flavour of Goan culture, the place resembles Lisbon, its twin sister in Portugal. Panaji is an Indian city with a heavy mesmerizing influence from the foreign land of Portugal. The top five places to visit in Panaji are listed below. Sitting over a small hillock in the form of a grand white wedding cake, the church of Our Lady of the Immaculate Conception was initially a little chapel that as built in 1541. The church was reconstructed in the mid-17th century again from the basic foundations. 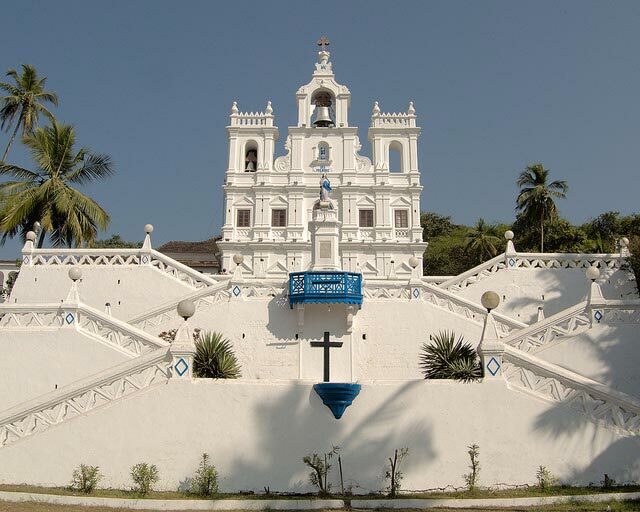 The white washed church houses the second largest bell in Goa that weighs about 2,250 kg and was originally a part of Augustinian Monastery. The symmetric staircase that sits in the front of the church was constructed in the nineteenth century. The interiors of the church are simplistic yet impressive. The main altar is dedicated to Mary whereas the two side altars are dedicated to Jesus’s Crucifixion and Our Lady of the Rosary respectively. 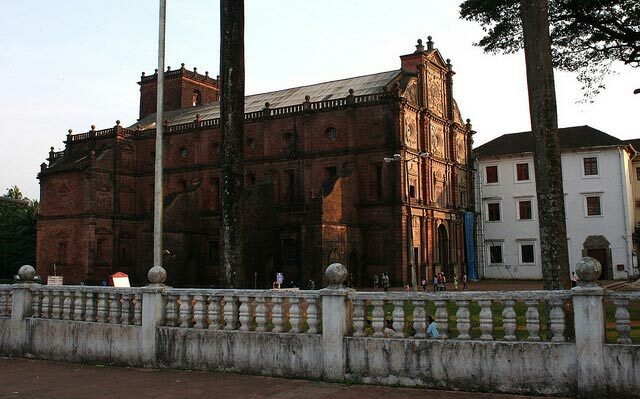 The church is the first church of Goa and hence has significant spiritual connection with the city. 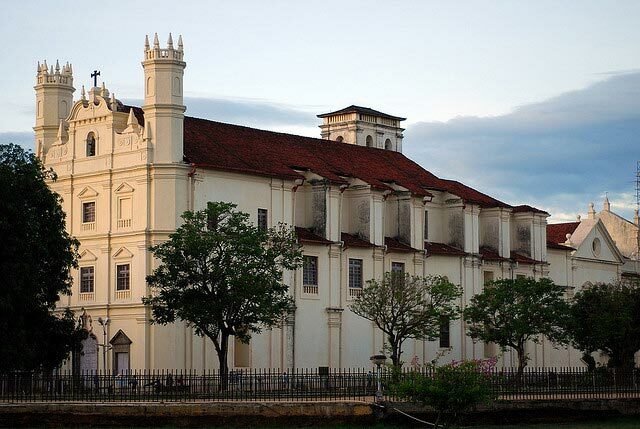 The Basilica of Bom Jesus is one of the oldest churches in India. Construction of the church began in the last decade of the sixteenth century and it was sanctified in 1605. The monument, declared as a world heritage site by the UNESCO, is one of the finest examples of the baroque architecture. The chassis of St. Francis Xavier is kept in a beautifully decorated casket here in the basilica. The remains of the saint are considered sacred and are believed to have inexplicable healing powers. It is a holy place for all the Christian devotees round the globe that come in a large number to visit this basilica every year. Shorted for Sé Catedral de Santa Catarina, Se Cathedral is the largest church in India and also one of the largest churches in Asia. The church is devoted to Catherine of Alexanderia. The façade is 35 m high. With a typical Tuscan exterior and the interiors done in Corinthian style the cathedral is a fine example of Portuguese-Gothic style of architecture. The cathedral came into existence in 1619AD but was sanctified in 1940 AD. The tower also houses the largest Bell in Goa, usually referred as ‘Golden Bell’. With simplistic interiors the cathedral draws a lot of tourists to pay homage. 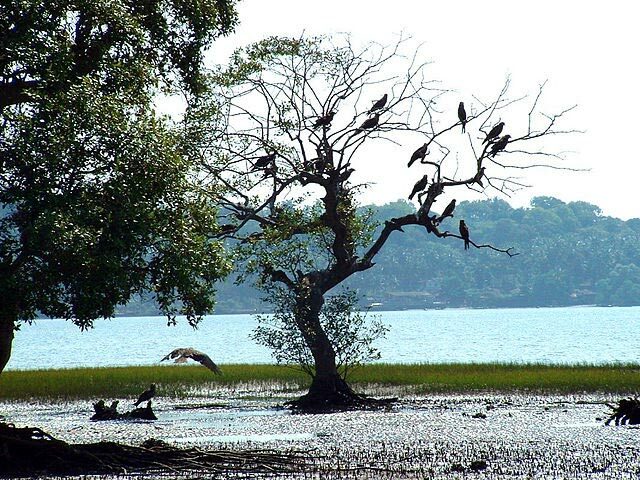 Entrenched in the low mangrove forests on the western edge of the Chorao Island, Dr. Salim Ali Bird Sanctuary is spread in an area of about 440 acres. Due to its splendid geographical location banking on the Mandovi River, the place is home to local and migratory avifauna. The sanctuary is accessible by a ferry ride and pathways in the mangrove swamp forests are paved to walk through the sanctuary. The sanctuary remains restricted during the times of high tides. It also houses a watch tower to have a better of the birds. Fiddler crabs and mudskippers are an easy spot with some other species of mangrove habitat. Birds like red knot, little bittern, pintails and coots can be seen here. 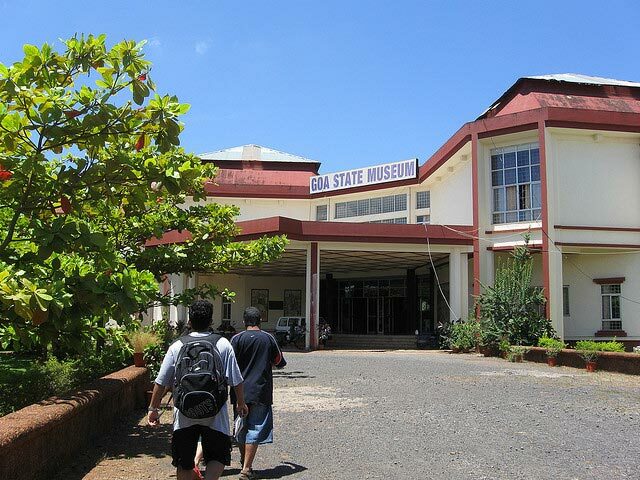 Goa state museum is a display of the evolution of the history and culture of the Goan Culture. With a wide variety of artefacts that belong to different eras in the history of Goa, the museum thematically shows the importance of the traditions of the locals at different points in time. The Museum was first established in St. Inez in 1977AD, initially at a small scale and then was shifted to EDC Complex in Patto in June 1996. With about 14 themed galleries the Goa State Museum is a window connecting the past and the present. Panaji being a rich reflection of the Portugal style architecture exhibits beautiful flavors of Goa in terms of culture and tradition. The city has a laid back approach and gives you ample amount to time to experience and appreciate the locality.